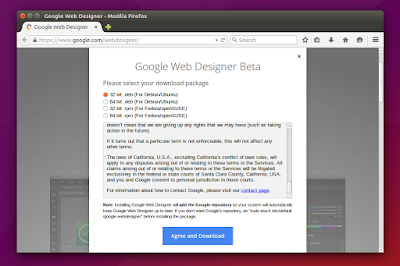 Google Web Designer (GWD) is a professional HTML5 authoring tool. 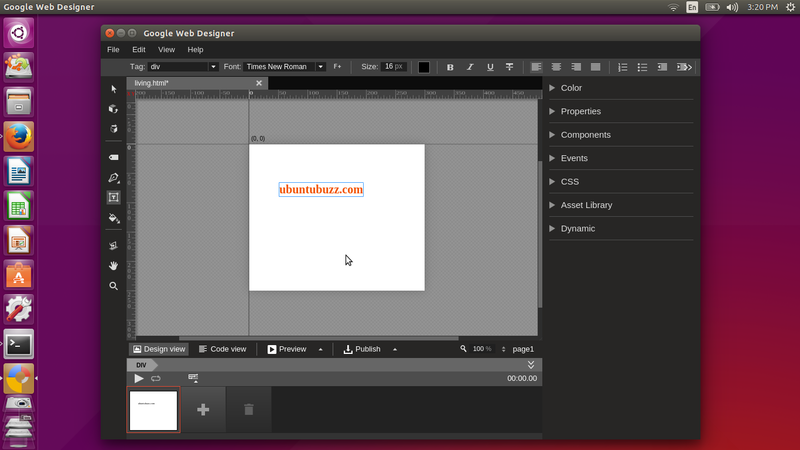 You can use it to create 2D HTML5 animation similar with Macromedia Flash. It is available on Linux. 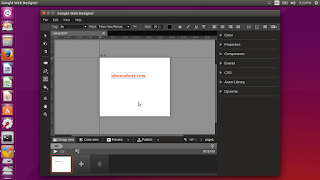 I will show you how to install it on Ubuntu 15.04. Visit https://www.google.com/webdesigner/. Click download button. You will see 4 choices of packages (Debian (32/64) and Red Hat (32/64)). I use Ubuntu 32 bit, so I choose Debian 32 package. Bu GUI, you can right-click the package > Open with Ubuntu Software Center > click Install > wait until finished. Note: you can type goo then press TAB so Terminal will automatically complete the name. 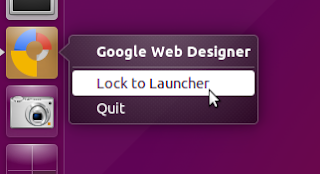 You can pin the Google Web Designer icon shortcut on Launcher by right-click on its icon > Lock on Launcher. See picture below.